Several new Acer monitors are now available on the market - all of them are also interesting for video editing because of their good coverage (90-95%) of the professional DCI-P3 color space. 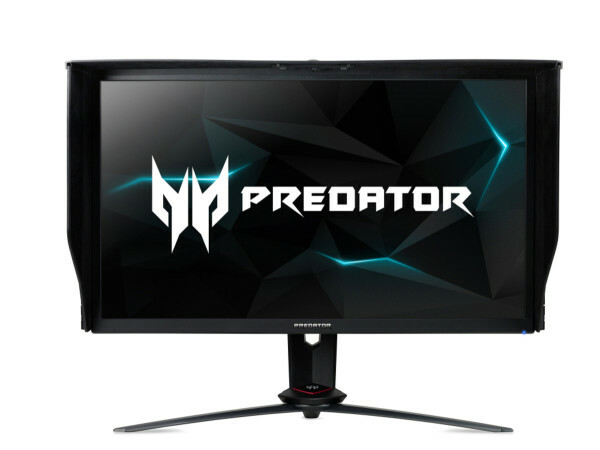 The Acer Predator XB3 (XB273KP) is 27 inches in size and features UltraHD resolution (3,840 x 2,160 pixels) at a maximum frame rate of 144 Hz with FreeSync support. The 10-bit IPS monitor covers 90% of the DCI-P3 color space and complies with DisplayHDR 400 standard with a peak brightness of 400 nits and 350 nits native. The Predator XB273KP has an HDMI interface and a DisplayPort and is delivered with protective shields that prevent reflections. It can be tilted by -5° to 25%, tilted by 20° to either side and adjusted in height by ium10 cm. The Predator XB273KP is available for about 1,300 Euro. The three new Acer Nitro models are all 27 inches large and have a very high frame rate of 144 Hz - they include the UltraHD Acer Nitro XV273KP with IPS panel and 90% DCI-P3 for around www.idealo.de/ price comparison/OffersOfProduct/slashcam/6415955_-nitro-xv273kp-acer.html (1.000 Euro), the Acer Nitro XV272UP with WQHD (2.560 x 1.440) resolution and 95% DCI-P3 for about 500 Euro as well as the Acer Nitro XF272UP with WQHD TN-Panel and 90% DCI-P3 for about 400 399 Euro.